Boho chic style is extremely popular today, and if you want to add a boho chic feel to your home, there’s nothing easier! 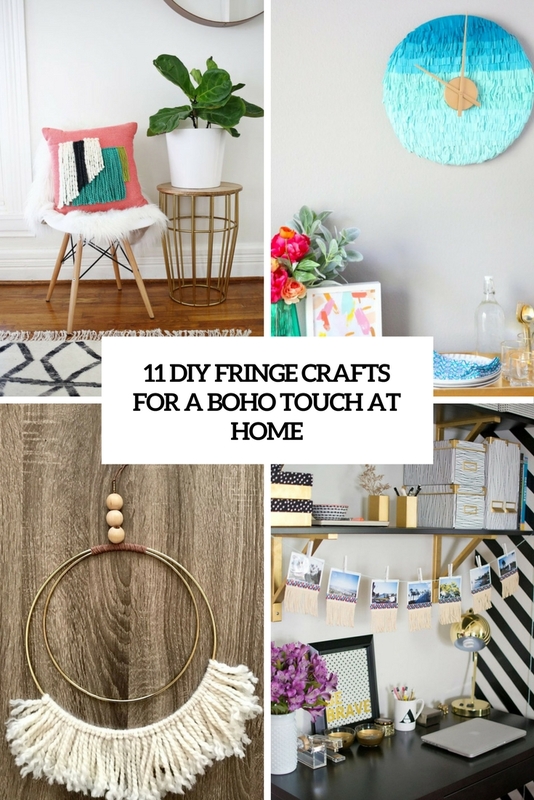 I’m sharing some amazing fringe crafts that will bring a trendy boho touch to your decor and that don’t require any crafting skills at all. The best thing about this project is how it adds a lot of color and interest without needing tons of time or materials, if you want to add some color, get inspired! 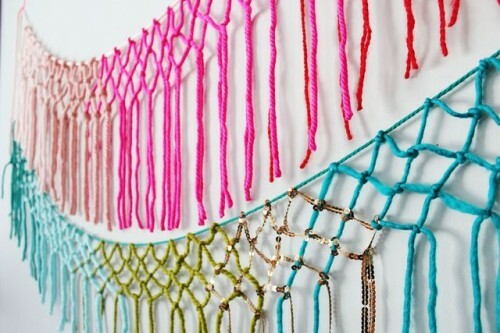 You will need just some colorful yarn, and the tips will be left as fringe – such a cool idea to spruce up a plain wall! 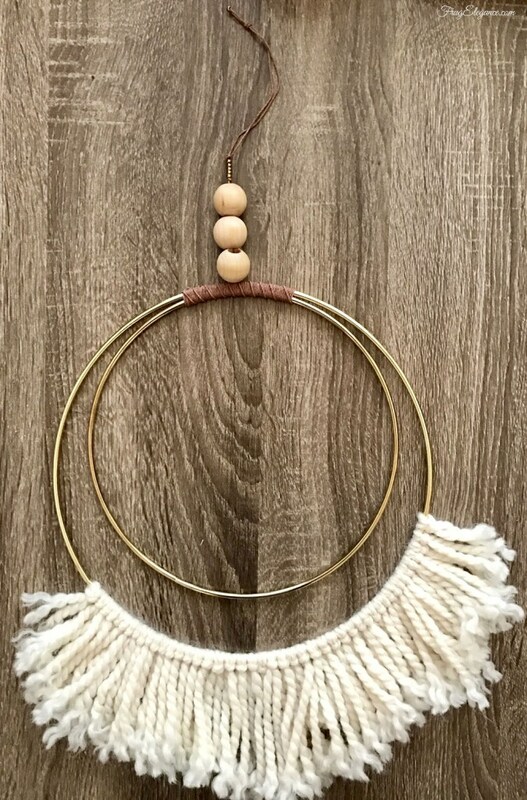 This cute dream catcher is very easy to make: just a couple of embroidery hoops, beads and yarn used as fringe. This is a simple and cool way to spruce up your room, and you absolutely don’t need any skills to make it. Miss your seaside holidays? 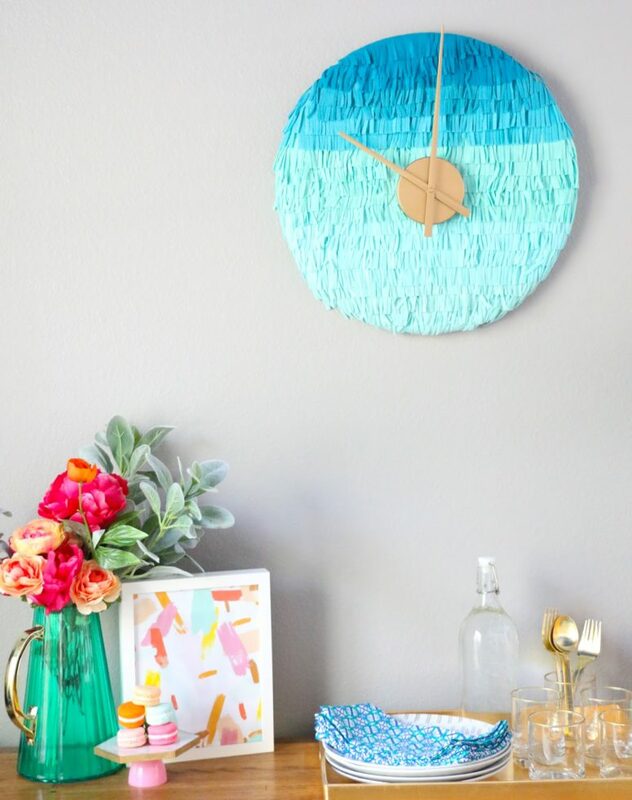 No problem, make a gorgeous ombre fringe clock in the shades of blue and turquoise! This piece is made using ombre felt and a brass mechanism for a more eye-catching look, such a bold clock will remind you of the sea thanks to its colors and will be a fashionable accessory as ombre is one of the hottest trends. 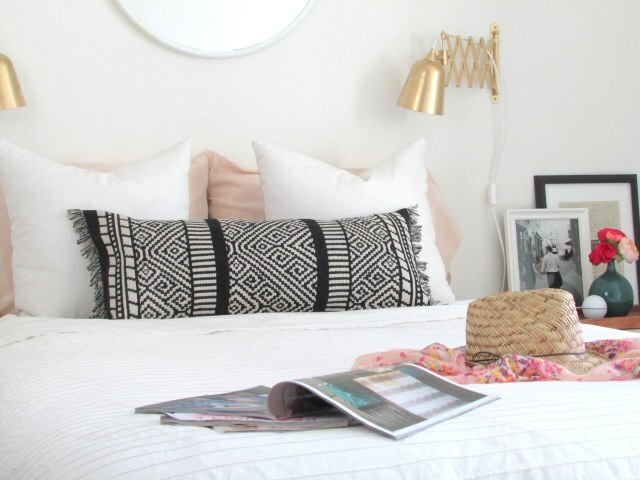 If you want to pull off the eclectic style at home it’s a good thing to mix bought and found, and it’s always very appealing to me, when refashion or upcycling something you already have. This tutorial will turn almost any ordinary mirror into something extraordinary that encapsulates brimming elegance and atmosphere and at the same time that’ll compliment any style. 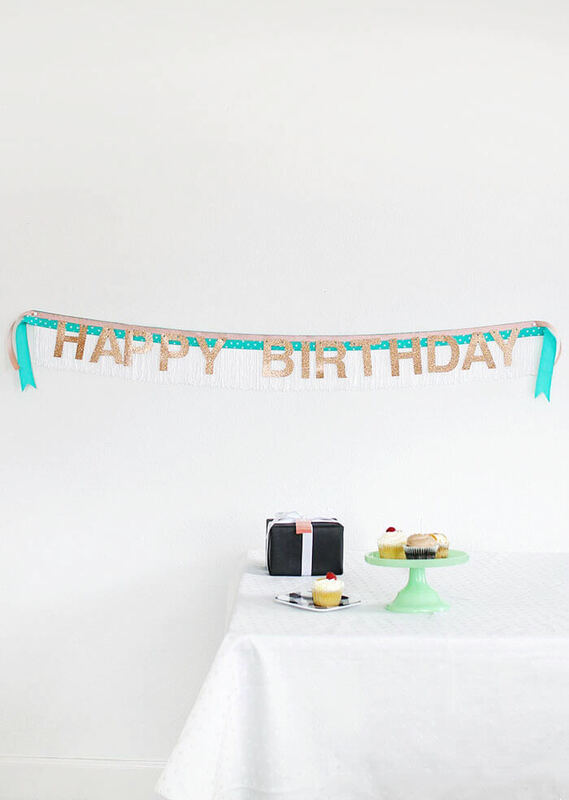 Make a birthday or any day extra special with a DIY fringe banner. Easy to make and customizable to any phrase you like! This one is made with colorful ribbons, glitter letters and neutral fringe, you can vary the colors if you don’t like them, and the letters can be DIYed, too. These coasters make great sewing projects for the beginner sewer, and they’re also a fun DIY home decor project you’ll want to give as DIY gifts! 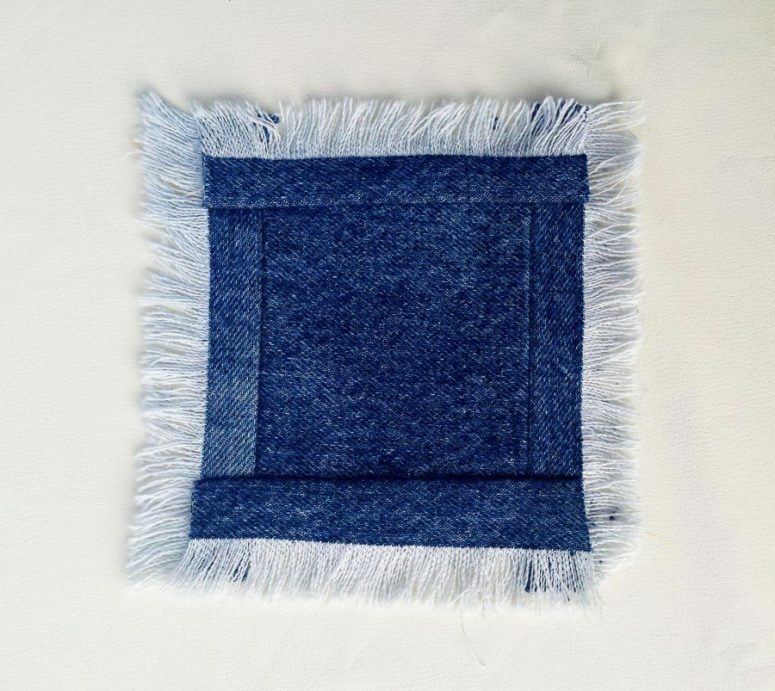 What’s special – these coasters are made of denim, which together with fringe creates a cool boho look. The black and white pattern is classics, and the fringe at each end of the table runner easily serve as the brush trim on the pillow ends. Here’s the tutorial on how to make the pillow in case you want to make one for your own home. such a cute piece with a boho feel! If you’ve been swept up by the weaving craze that’s taken over the Internet the past few years, then you are not alone. 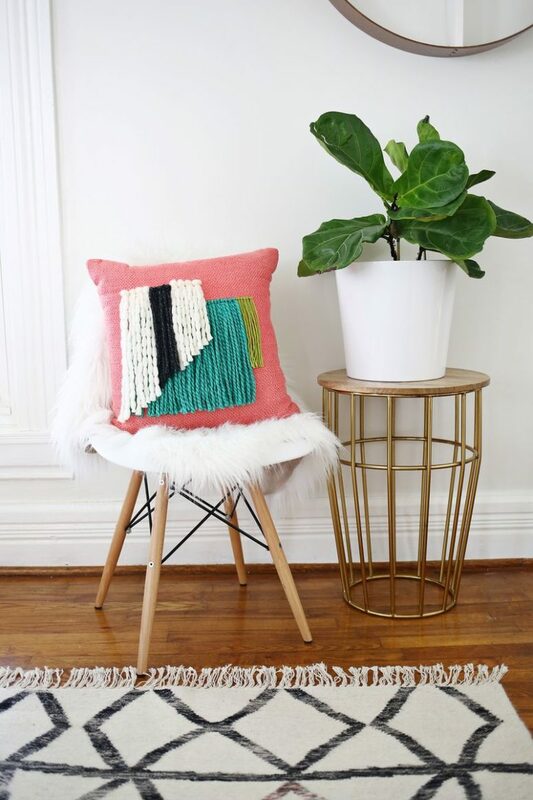 This is not a particularly weaving project, it’s much easier than that, you just need to attach some colorful yarn as fringe right to the pillow – read the tutorial to find out how. The fringe embellishments add just the perfect touch to bring out the summery vibes from your favorite summer memories. 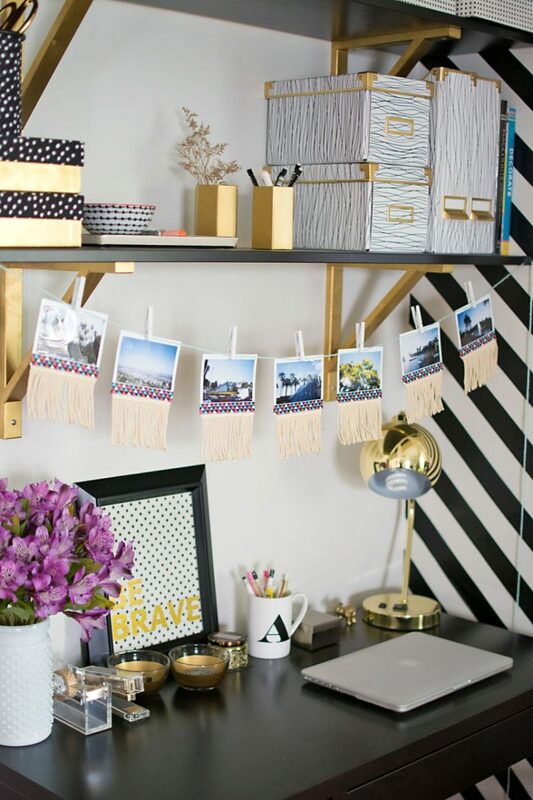 Plus, it’s so simple to make and is sure to be a stylish way to display any of your photos. 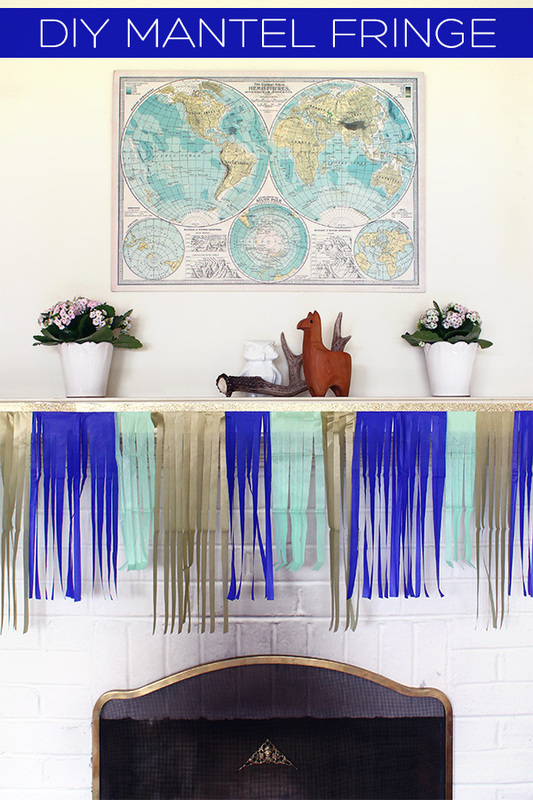 Such a cute fringe photo garland will be a cool and bold decoration! 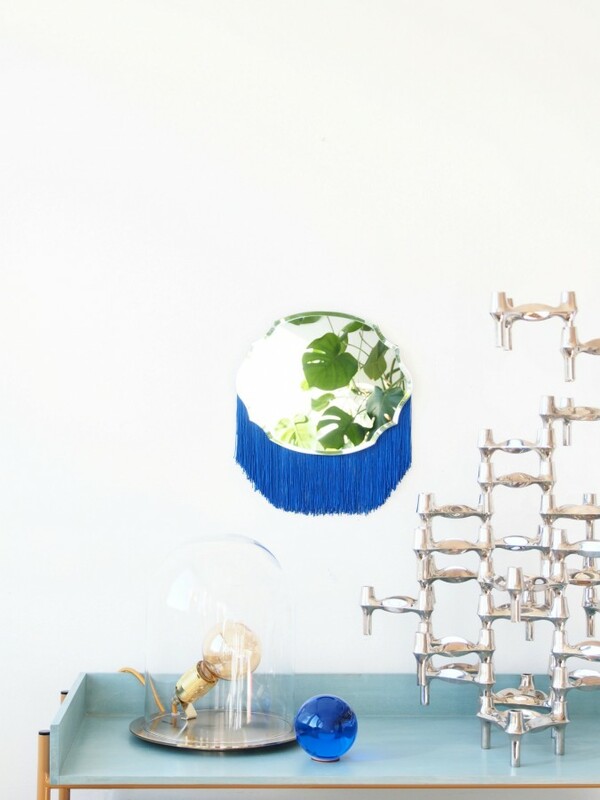 If you’re wanting a fun and non-committal way to dress up your mantel, this mantel fringe is just the ticket. And it’s pretty darn easy. Spruce up your mantel for a party with colorful fringe made of tissue paper and enjoy the bold look! 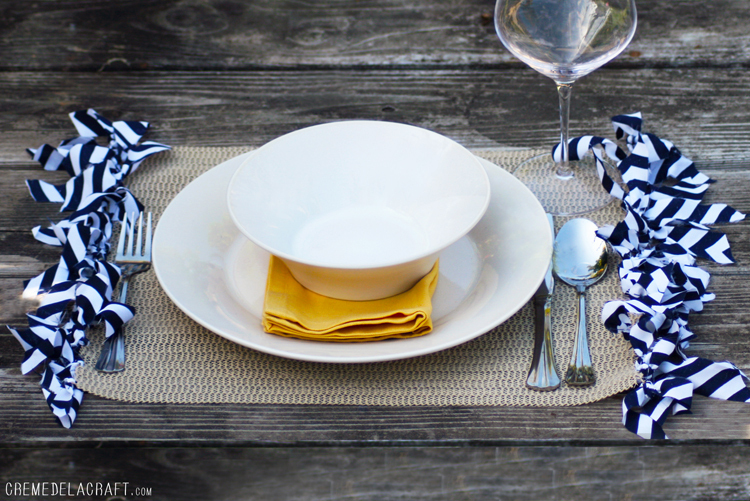 Bring some style and handmade flair to your table by DIY-ing your own placemats! Have some leftover drawer liners and pieces of fabric or ribbon? That’s all you need to create these simple and chic placemats. Keep it elegant with muted tones or brighten up your table with funky patterns and vibrant colors. Drawer liners are the perfect material to use as placemats, because they are durable, easy to clean, and with a touch of creativity, even stylish!